London, 20 January 2016 – Paywizard, the specialist in subscriber management for pay-TV, has drawn up 8 New Year resolutions for OTT (over-the-top) TV providers, to help the industry tackle projected high churn rates in 2016 and increasing competition from global players. The recommendations closely follow the news of Netflix’s expansion into 130 new countries, which puts heightened pressure on existing regional Pay TV and OTT service providers to attract and keep customers loyal, preventing them from gravitating to other services. Operators already face the great challenge of reducing churn in the New Year, especially when it comes to retaining people who took advantage of free trials pre-Christmas – which made up 21% of planned subscribers globally. A recent Research Now survey, commissioned by Paywizard, found that while over 50% of consumers planned to have a paid OTT subscription by the end of 2015, almost half of subscribers would cancel their subscription within 6 months, which amounts to a churn rate 6 times higher than satellite and cable pay-TV rivals. The 8 New Year resolutions come from a new report entitled ‘The fight is on: Winning the pay-OTT battle’, and offers practical steps that service providers can take to improve acquisition, retention and profitability. Use data for a more personalised approach. By monitoring customer behaviours, providers can build up different ‘persona’ profiles and use these to implement more tailored marketing campaigns, content acquisition processes and bundle creation strategies. One size does not fit all. This holds true for everything from sign up offers, to payment methods, to subscription models. Rather than creating blanket deals and business models, target different demographics and regions with suitable processes and genuinely enticing packages. Leverage real-time insight. Factors as simple as the weather can pose a valuable opportunity to please subscribers, allowing providers to offer a family film deal on a rainy day for example, to people with a kids’ package. Say goodbye to rigid contracts. Exploring flexible bundles which offer price graduated levels of content access can help to attract reluctant customers who desire pay-OTT TV for specific niches, like kids’ content, documentaries, sports or movies. Cater to all demographics. Consider that older generations of potential subscribers may not want a digital-first approach, and would benefit instead from telephone based on-boarding along with simple customer premises equipment. Expose value through better recommendations and out-of-band marketing, by using email, Facebook, Whatsapp, Twitter and other channels to engage with subscribers and to highlight suitable content. Spot unhappy customers early using subscriber analytics. Dissatisfied customers can be pulled back from the edge with proactive alerts, retention and loyalty activities. Make cancelling subscriptions easy. Although seemingly counterintuitive, by making the cancellation process easy for consumers, you make it easier for them to come back – especially binge viewers who are waiting for the next season of their favourite show to begin. The complete Paywizard study ‘The fight is on: Winning the pay-OTT battle’ is available to download here. Pay-TV operators around the world are growing their traditional and multiscreen TV businesses by partnering with Paywizard. Our easy to deploy SaaS platform combines with our expert services to increase subscriber acquisition, retention, up-sell and cross-sell. Paywizard builds your pay-TV revenues so you can achieve profitable growth. With our marketing suite you can quickly launch targeted campaigns to attract new subscribers, increase customer lifetime value and ARPU while decreasing churn. We also deliver flexible support packages to meet your needs and guide you through the challenges of multiscreen monetisation. From simple advice to complete design and deployment, we deliver revenue-boosting techniques to continuously improve your service. Our expert services team can even manage and monitor your system for you. 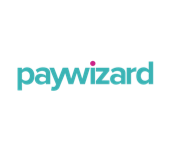 Paywizard is at the heart of the pay-TV market. For 17 years we’ve driven the revolution in television – from free to pay, broadcast to IP and from single device to multiscreen. We know the TV market, see the challenges our clients face and understand how to drive revenue opportunities in a multiscreen world. For leading TV service providers such as BT Sport, NBCUniversal, Setanta Sports and NHK Cosmomedia Europe, Paywizard is putting the profit into pay-TV.